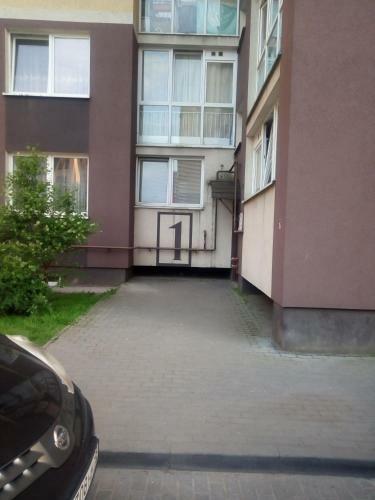 Apartment on Minusinskaya Street in Kaliningrad is an apartment building. Situated in Kaliningrad, within 3.8 km of Church of the Holy Family, Apartment on Minusinskaya Street is an accommodation offering city views. 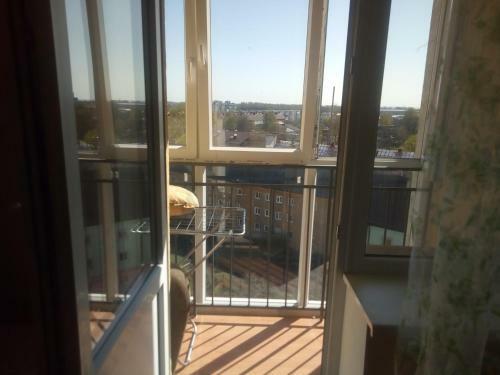 The property is 5 km from Königsberg Cathedral and 6 km from Kaliningrad Stadium. With free WiFi, this 1-bedroom apartment offers a cable flat-screen TV, a washing machine and a kitchen with oven. The property also has 1 bathroom with a bath and shower, and free toiletries and a hair dryer are available. Staff at the 24-hour front desk can provide tips on... the area. Rossgarten Gate is 7 km from the apartment, while Amber Museum is 7 km away. Khrabrovo Airport is 27 km from the property. Situated in Kaliningrad, within 3.8 km of Church of the Holy Family, Apartment on Minusinskaya Street is an accommodation offering city views. 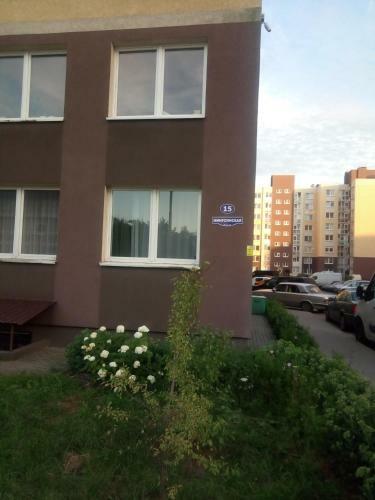 The pro...perty is 5 km from Königsberg Cathedral and 6 km from Kaliningrad Stadium. With free WiFi, this 1-bedroom apartment offers a cable flat-screen TV, a washing machine and a kitchen with oven. The property also has 1 bathroom with a bath and shower, and free toiletries and a hair dryer are available. Staff at the 24-hour front desk can provide tips on the area. Rossgarten Gate is 7 km from the apartment, while Amber Museum is 7 km away. Khrabrovo Airport is 27 km from the property. When would you like to stay at Apartment on Minusinskaya Street? Please inform Apartment on Minusinskaya Street in advance of your expected arrival time. You can use the Special Requests box when booking, or contact the property directly with the contact details provided in your confirmation. A damage deposit of RUB 1000 is required on arrival. This will be collected as a cash payment. You should be reimbursed on check-out. Your deposit will be refunded in full in cash, subject to an inspection of the property.